Barcelona city likes to celebrate any kind of holidays. They don't distinguish whether it is a bank holiday ( public holiday) or religious holiday. For each holiday they organize a ceremony. People in Barcelona at festivals dance, come together and enjoy the holidays. We here try to explain all kinds of holidays celebrated in Catalan world such as bank, national, religious, holy or public holidays. What do Barcelona people do in public holidays? How do they celebrate the national holidays? Some holidays are celebrated all around Spain but some are just regional holidays. So when you plan your Barcelona city travel you can take the holidays days into consider and may arrange your calendar if you would like to participate the festivals in Barcelona city. You will find the holiday explanations separately and mentioned in each month. New Year's Eve is celebrated on 31st December and 1st January. It's Spain official public holiday and in every region this day is celebrated. On January 1 is actually a public holiday to rest after the previous night's hectic. People in Barcelona celebrate New Year's Eve at bars or restaurants among family or friends. The places are generally closed at 10pm and opened at 1am to celebrate New Year again. Traditionally, people eat twelve grapes on that night as they believe it will bring luck for the next twelve months. At Montjuic every year since 2013, a major event has been organized. 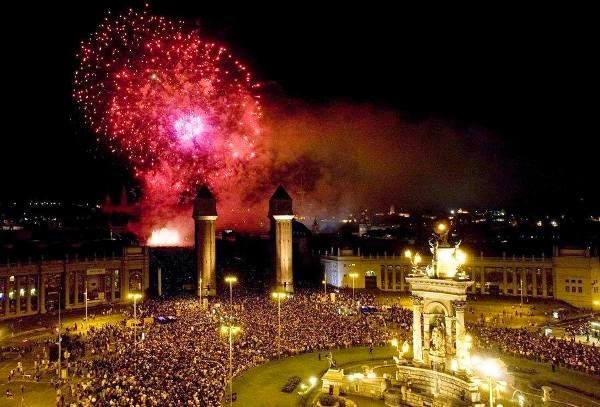 New Year's Eve in Barcelona is really worth to see. 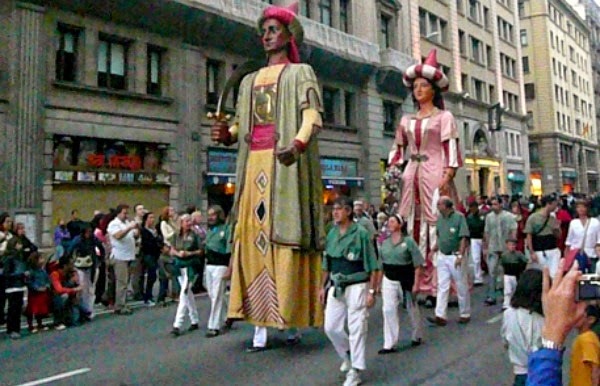 Three King's Parade is observed on January 5 and is a national holiday in Barcelona city. Three wise man, the stars of Three King's Parade are Gaspar, Melcior and Baltasar - Els Reis Mags D'orient. The ceremony begins with three kings' arrive at Port Vell and they will run through the city centre. At this procession the three kings' train is lined with people at any age and they raise the children's candles. This is a children fest so the next day children put their shoes at balconies or streets and they wake up with the presents in their shoes. On that they people eat traditionally cake called Tortell de Reis. Horse Parade is a day when you take your pets to the church to be blessed by the saint of animals Sant Antoni. No matter how small or big is your pet you can take it to church. If you don't have one then you can still participate the event to watch a parade of horses and carriages. On that occasion, people eat a cake similar to Tortell de Reis which is round and has got little candied fruits and small animals inside. So watch out while eating your cake. In different resources the occasion date is written as January 17 while in other as January 25. Carnivals in February starts 40 days before the beginning of Easter on Palm Sunday. It's a long festival time. The beginning date varies each year but generally the carnival time starts on January 7 and ends on January 13. 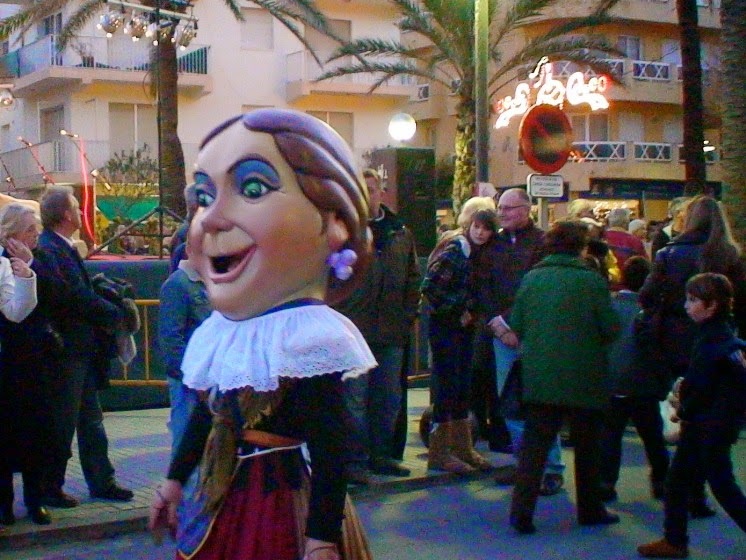 Santa Eulalia is a day celebrated in a festival concept for the second patron saint. The festival is aimed at children so lots of events, occasions or enjoyable games are organized. People are dressed as dragons and evils and run in the streets breathing fire and sparks. This festival is based on all family member's joy at the same time. Traditions for this festival are dressing costumes and eating omlette or egg sausage and burying a sardine. The main characters of this carnival are Rei Carnestoltes or the Rei de Poca Soltes. The main districts for the carnivals are Passeig Del Born, Passeig Picasso and Parc de la Ciutadella, neighborhood around Mercat de Santa Caterina. The day is celebrated between 7 and 12 February. For your Barcelona city travel guide please follow our articles. We will continue to explain the bank holidays in Barcelona and religious holidays in Barcelona city. To learn more about festivals in Barcelona please read for our next article about holidays in Barcelona city. Here below there is a video including some scenes from Three Kings' Parade observation. We hope you enjoy the video. For more holidays videos in Barcelona please check the videos part at our site. Thank you.